This recipe is slightly different than others: the big reason is that I’m not going to provide specific portions. When making pesto, it’s actually more fun to experiment and mess around with the ingredients until it achieves a taste YOU enjoy. Fresh basil leaves (a good amount, and preferably organic). Parmesan cheese (in block form). Pine nuts or hazel nuts. 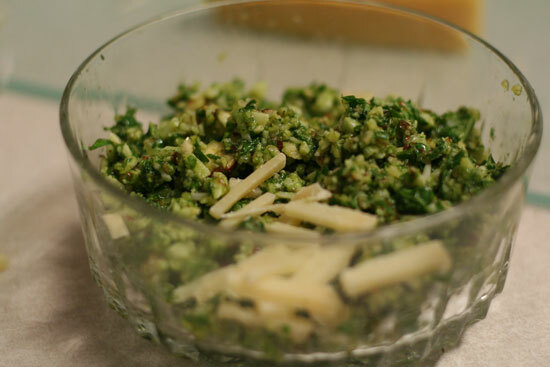 Throw your basil leaves and parmesan cheese, and garlic cloves into a food processor. A blender will also work. If you like, do some pre-chopping. 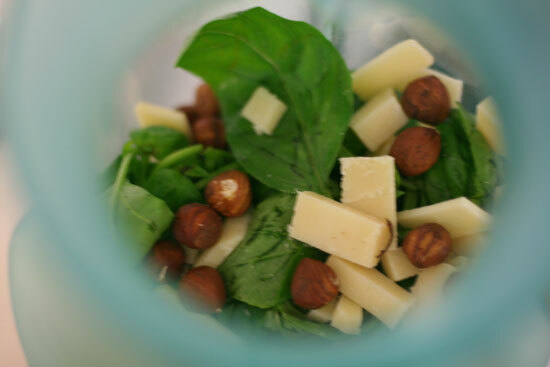 Add a little more olive oil than you think, and fewer nuts than you think. Try it. If it tastes awful, add some more of the other stuff to balance out taste and blend again. Add some salt and pepper if that’s your thing..
And if you’re going to save this overnight, add a little bit of lemon juice as a preservative. Great! So what can I do with this? Pesto goes well with lots of stuff. Try it on a salad, to start. 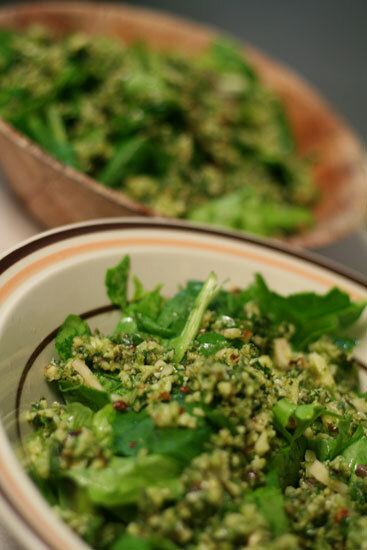 You can also try making awesome pesto burgers, or maybe even pesto pizza!